100 super extra long berry mix feathers a mix of blues, reds,pinks and purples. 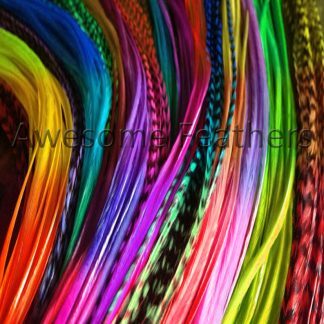 A mix of 100 various long feather extensions. This mix contains 100% Natural berry coloured hair feathers. 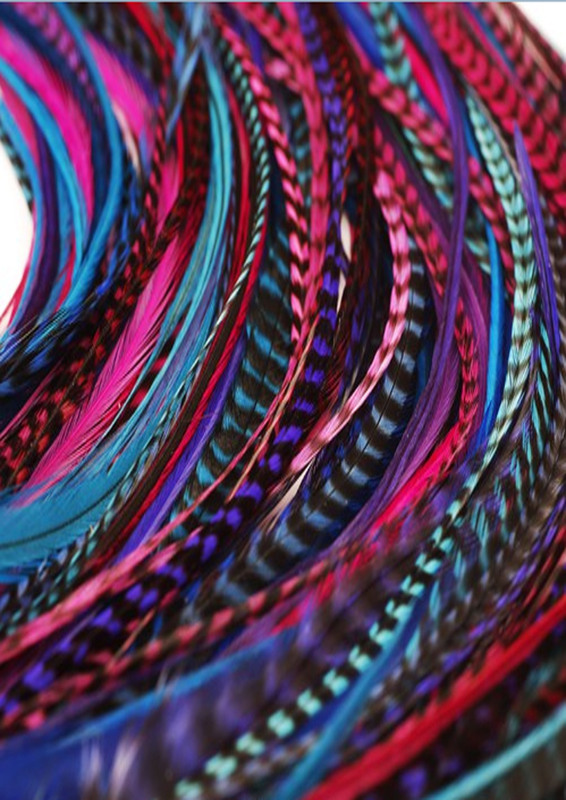 Worldwide Shipping available on all our coloured hair feathers and products. 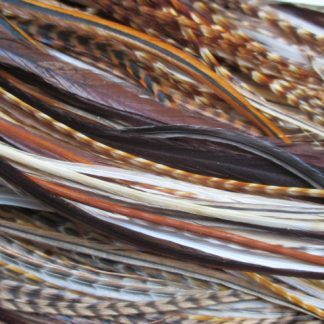 Please see the Hair Feather Tools section for beads, threaders and pliers required to attach these feathers.